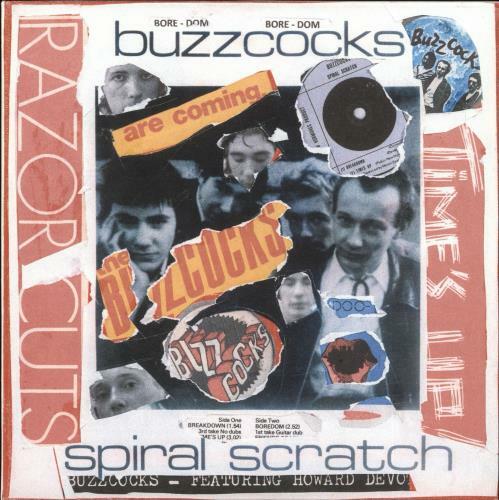 BUZZCOCKS Spiral Scratch - Punk Art sleeve (2018 UK limited edition vinyl 7" from London artist Mal-One featuring his 'Never Mind The Punk 45' track in an exclusive Buzzcocks decollage picture sleeve using original artwork images and ephemera ofthe band. 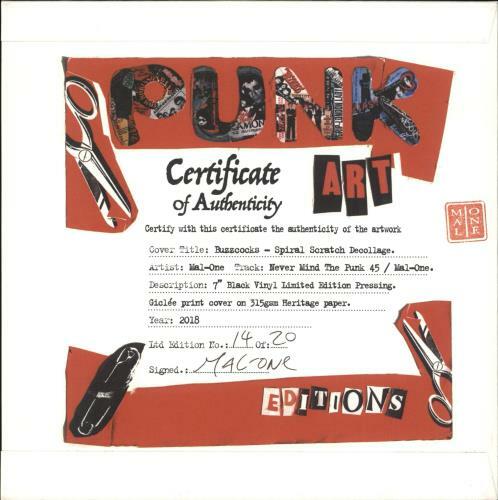 The Giclee printed cover on 315gsm Heritage paper is one of a collection of original punk debut 45 releases reworked into an exclusive limited edition of just 20 hand-numbered copies per release (the lowest number in stock at the timeof order will be sent), each signed by the artist MAL-ONE. Released in conjunction with RSD 18 and MAL-ONE's own art exhibition and using the artists personal punk collection, this vinyl 7" and sleeve creates something new and collectable from something old and special) *Also available as a limited edition 22.5" X 22.5" Giclee print on 315gsm Heritage paper*.